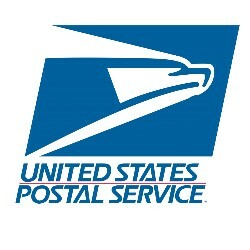 We utilize the most economical USPS service for all of our Free Shipping items. Shipping upgrades are always available for an additional charge on our free shipping items. You may return most new, unopened items within 30 days of delivery for a full refund. We'll also pay the return shipping costs if the return is a result of our error (you received an incorrect or defective item, etc.). Treats, customized/engraved products and bedding are not eligible for return, exchange or refund unless the product is defective or involves our error. Return credits are for the price of the item only and exclude original shipping. Items that originally shipped for free will be subject to a restocking fee based on weight. Restocking fees on Free Shipping returns under 1 lb. is $3.00 and over 1lb. is $7.00. You will receive your refund when we receive your package from the return shipper. You will receive a credit on the same credit card used to purchase the item. We suggest purchasing tracking services for all return packages.